A $140 million federal grant to help an outfit in Utah develop a new method of harvesting renewable energy is certainly good news. But, compared to the potential for all kinds of endless, non-polluting energy that could be exploited in these parts, it seems but a small step. The U.S. Department of Energy announced Thursday that it would provide that much grant money over the next five years to the University of Utah operation known as FORGE laboratory, short for Frontier Observatory for Research in Geothermal Energy, in Milford. Geothermal energy, in broad terms, is using steam or very hot water that naturally occurs at different places on earth — often areas of high volcanic activity — to turn turbines to generate electricity. The FORGE technique is a little more aggressive. It uses the methods and machines of hydraulic fracturing — aka fracking. But, instead of forcing oil or natural gas to the surface, the FORGE idea is to use big drills and pumps to force water down into the earth, to places where there is a lot of underground heat, thus creating a source of steam for power plants. If successful, this method would make it possible to use geothermal energy in a lot more places, not just spots where nature provides the steam on its own. The grant for the project was warmly welcomed by such worthies as Gov. Gary Herbert and Rep. Chris Stewart, who rightly see both an opportunity for economic development and a possible method of generating more power without burning more carbon. That’s all just grand, of course. 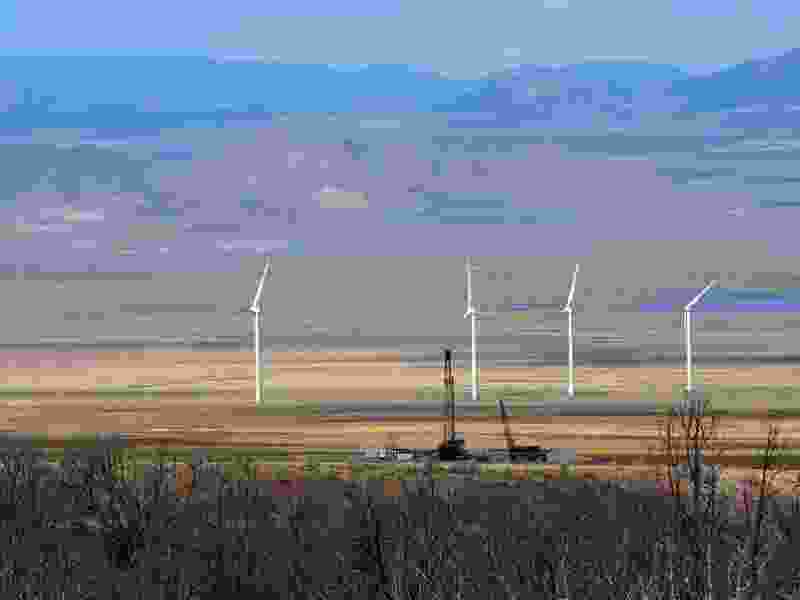 But it brings to mind the fact that Utah’s use of other forms of renewable energy — primarily wind and solar — is growing but still far short of what it could be. Especially in our sunny southern deserts. Maybe the different levels of enthusiasm come from the fact that the FORGE technique reminds our fossil-fuel loving politicians of their beloved oil drilling rigs, what with all those big drills and such, while solar panels and windmills somehow strike them as too, well, passive. If Utah’s elected leaders really want their state to take the lead in any form of renewable energy, they could follow the lead of 29 other states and mandate that some or all of the power utilities operating in the state have a minimum expectation of the amount of electricity to come from renewable sources. New York and California, of course, lead the way, each telling their utilities that at least 50 percent of their power must be coming from renewables by the year 2030. Other states have less aggressive, but still mandatory, standards. Utah has a standard on the books — 20 percent renewable by 2025 — but it is a voluntary goal, with no force of law. It’s not that the use of renewables isn’t rising here. Rocky Mountain Power late last month, heeding customer demand, put out a request for proposal for someone to provide enough renewable power to run 34,000 homes and be partly online by 2020. That’s not nothing. But we are in a position, geographically and politically, to do so much more.